Age: "In Act I, I’m 21; in Act II, I’m 38." Current Role: Grammy-winning music producer Emilio Estefan in the effervescent bio-musical On Your Feet!. Stage & Screen Cred: Rivera makes his Broadway debut in On Your Feet!. 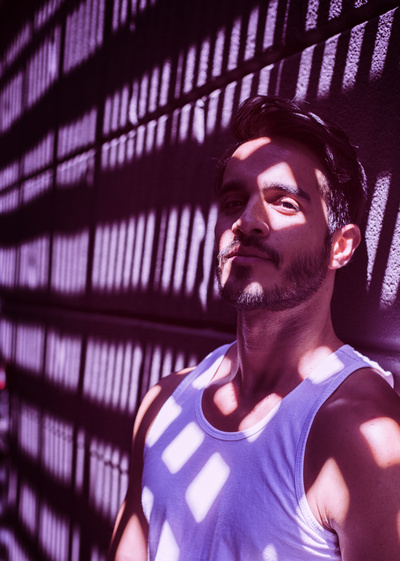 A musical theater star in Puerto Rico, Rivera's credits include Rent, Hairspray, Godspell, Piaf, High School Musical, The Outsiders and The Mousetrap. Stateside, he has appeared in Broadway and Beyond and Q’Viva! The Chosen, in which he was cast from the reality television show of the same name, produced by Jennifer Lopez, Marc Anthony and Simon Fuller. Rivera's film and additional TV credits include Incógnita and Nene Lindo. He is also a visual artist.